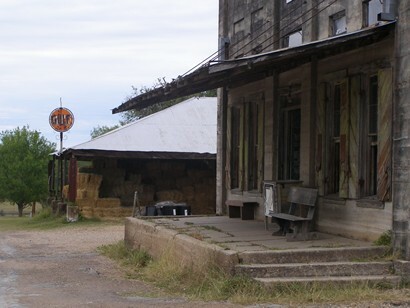 Settlement dates from 1846 when Adolph Meyer and his sister decided to live on the north side of Coleto Creek. In 1847 the community was named after Meyer. 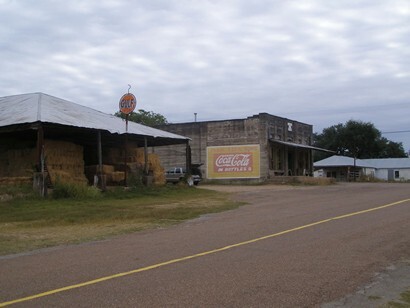 The village was supplied through Victoria until the first store opened. By 1850 the population consisted of some 20 families and the following year the first school was constructed. 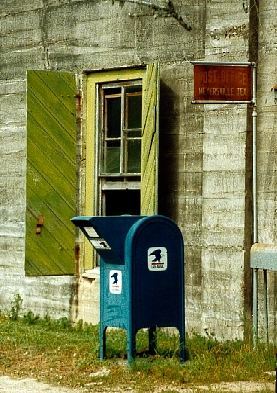 A post office was granted in late 1851. An influx of Polish immigrants arrived in the 1850s. 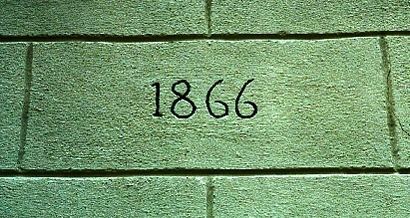 In 1859 Sts. Peter and Paul Catholic Church was built. 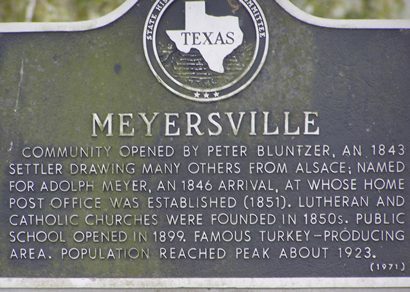 The German and Polish families grouped into separate communities resulting in an “Upper Meyersville” and a “Lower” Meyersville. 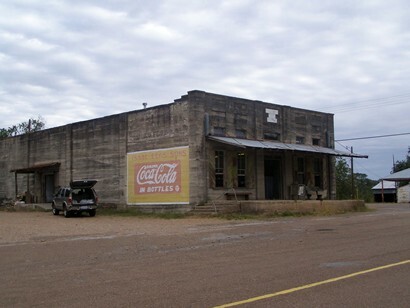 Although no population figures are available for the earliest years, an estimate of both communities is given as between 200-250 residents from the 1880s through the 1920s. 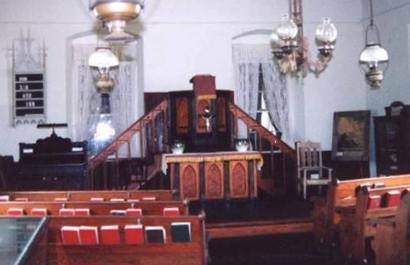 In 1866, St. John’s Church, the county’s first stone church was built. 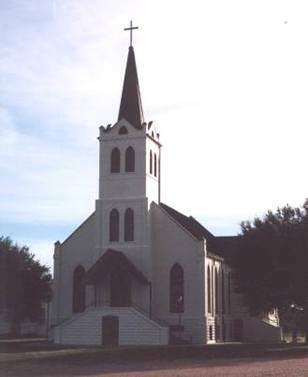 This Lutheran church was replaced by a second building erected in 1921. 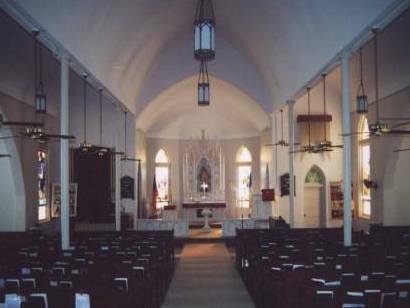 The Catholics erected a church in 1880 and this was replaced in 1939. The community was far enough from Victoria and Yorktown that local businesses enjoyed a loyal (captive) clientle. The community was mostly dependant on cotton and in time, Meyersville operated six separate gins. After WWII the cotton market was all but dead. From a population of 250 in the 1940s, Meyersville fell to 150 in the 1950s, declining to a mere 110 in the late 1960s. 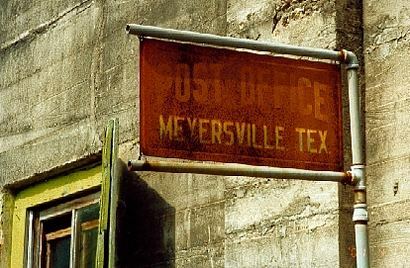 In the late 1990s, Meyersville was taken off the official state map by TxDoT. 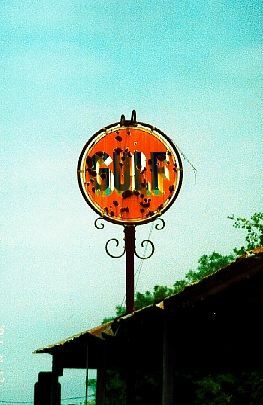 Locals were outraged and led a campaign to reinstate it’s former status which was done with the next printing. 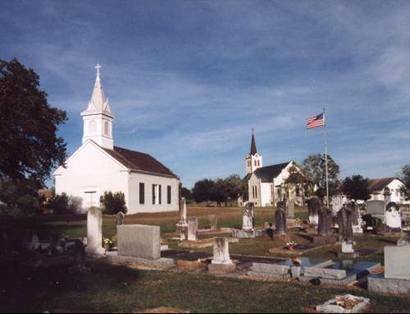 The community is one of the most picturesque in the county. Community opened by Peter Bluntzer, an 1843 settler drawing many others from Alsace; named for Adolph Meyer, an 1846 arrival, at whose home post office was established (1851). 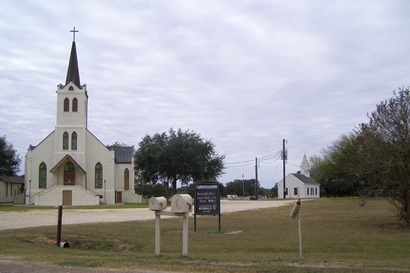 Lutheran and Catholic churches were founded in 1850s. Public school opened in 1899. Famous turkey-producing area. Population reached peak about 1923. 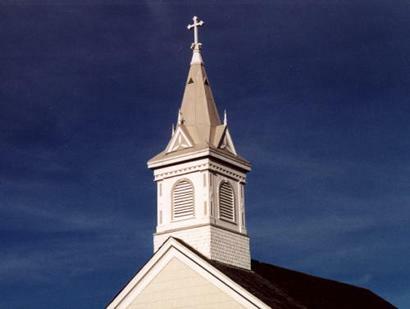 1866 - the year that the county’s first stone church was built. 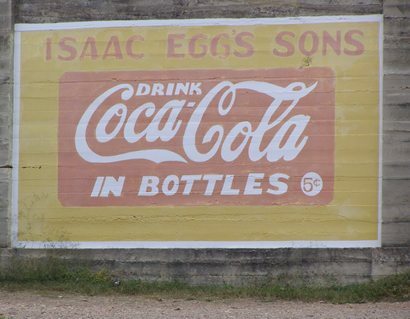 "Drink Coca-Cola in Bottles 5c"